Comment: I would like to get an estimate for new gutters installed on our one story home. Comment: Home is 30 years old. Replaced roof last year and now looking to replace gutters. Comment: Just looking to get new gutters put up on my home. Comment: replace gutter that has been partially blown off and is banging in the wind. Comment: Rear of house approximately 30 feet of gutter & one down spout approximately 20 feet high. Runoff to be routed down through existing hole. Need to replace 4" PVC pipe in hole. Area recently perc tested. Plymouth Gutter Cleaning & Repair Services are rated 4.71 out of 5 based on 697 reviews of 22 pros. 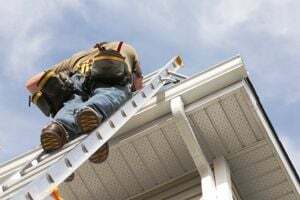 Not Looking for Gutters Contractors in Plymouth, MA?